Mummies, coffins, tombs, elaborate funerals with fireworks. 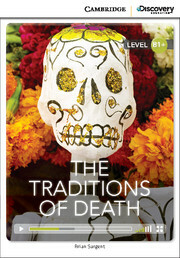 . . explore the many ways people deal with death. Cambridge Discovery Education Interactive Readers are the next generation of graded readers-captivating topics, high-impact video, and interactive exercises designed to motivate and engage.